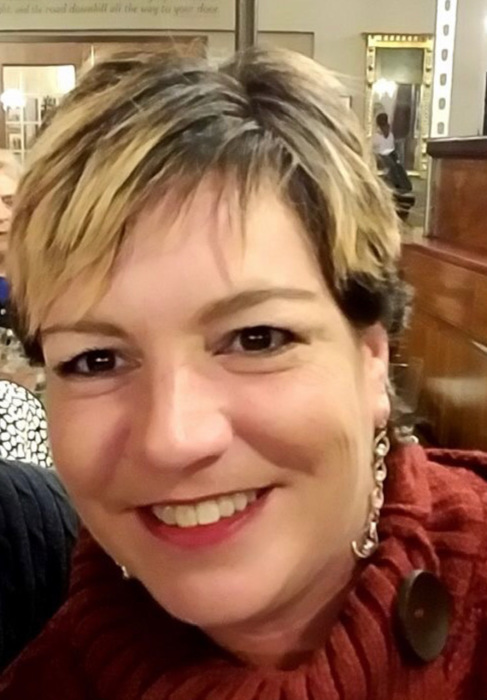 Theresa Ann Fahey, 44, passed away Friday surrounded by her beloved family. Theresa was born May 22, 1974 in Springfield to Raymond and Ghislaine (Willett) Fahey. She was a lifelong resident of West Springfield and was a graduate from West Springfield High School, where she later attended St John’s School of Business. She was a dedicated employee, production manager, of Springfield Wire for over 20 years. Theresa was a strong willed, feisty and spirited woman. She enjoyed summer days by the pool, and spending time with family and friends. Theresa was predeceased by her mother Ghislaine Fahey in 2002. She is survived by her loving fiancé Joshua Noonan of West Springfield, her beloved father Raymond Fahey and step-mother Janet McDonald of West Springfield, her caring sisters Lisa Fahey and fiancé Thomas Avery of Westfield, Lynne Holloway and her husband Christopher and their son Maxwell of Agawam, and her step-daughter Natalie Trudell. She will be dearly missed by her dog Dalia, by many friends and extended family. Calling hours for Theresa will be Wednesday, March 27th from 4:00PM-7:00PM at TOOMEY-O’BRIEN FUNERAL HOME, 1043 Westfield Street in West Springfield. The funeral will take place Thursday at 9:00AM at the funeral home, followed by a Liturgy of Christian Burial at 10:00AM at St. Thomas the Apostle Church, 47 Pine Street in West Springfield. Burial will be private for the family. In lieu of flowers, memorial donations may be made in Theresa’s memory to Sr. Caritas Cancer Center, 271 Carew Street, Springfield, MA 01104. Please visit www.toomeyobrien.com for more information.